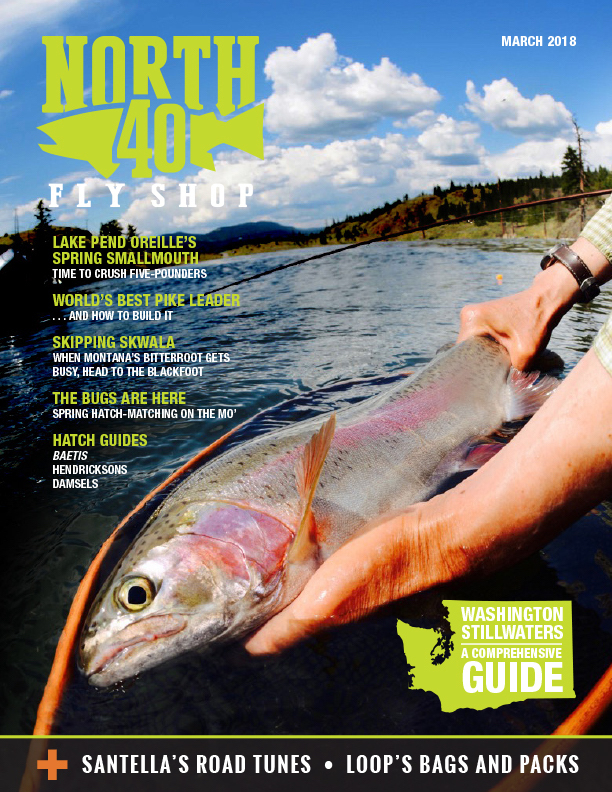 This entry was posted in Culture, Industry, Northern Rockies, Northwest and tagged fly fishing e-mag, fly fishing magazines, North 40 fly Shop, North 40 Outfitters. Bookmark the permalink. Good work going on here! Thanks. Let me just throw a question out there. Regarding The Winds, I am trying to snag a copy of the rumored “List of the lakes in the Wind River Range bearing populations of Golden Trout”. Striking out with Shoshone N.F., etc., so how about a general appeal: HELP. DOES ANYBODY HAVE…blah, blah. I presume the lakes originally planted going back to 1907 still have populations of Goldens to some degree. Everything changes over time, so in the Popo Agie Wilderness accessed by the Smith Lake Trail S.W of Fort Washakie, does anyone have recent knowledge of the Goldens in the 9 or so lakes of that basin? I’m just getting too long in the tooth to just go traipsing about in topography like that.